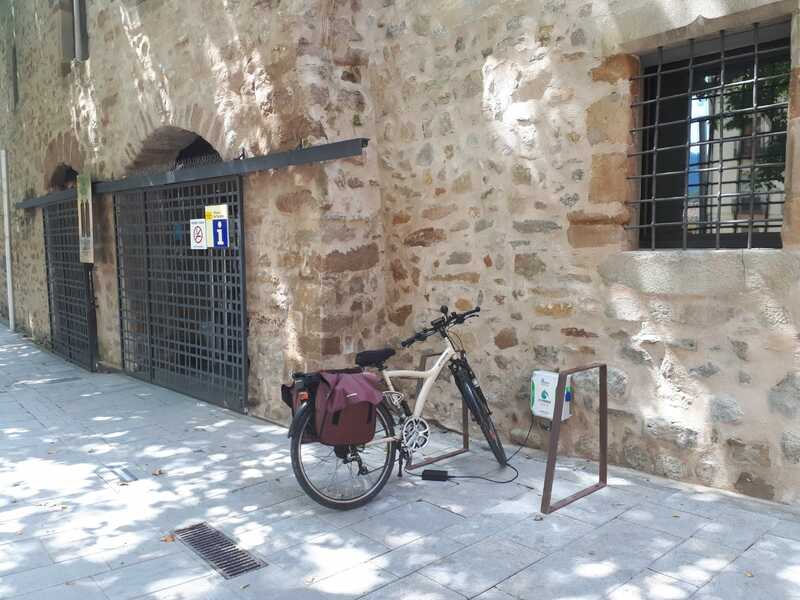 Pirinexus is a circular route, with 353 km, designed for different paces, linkinmg Girona and south of France, which can be started from different points. 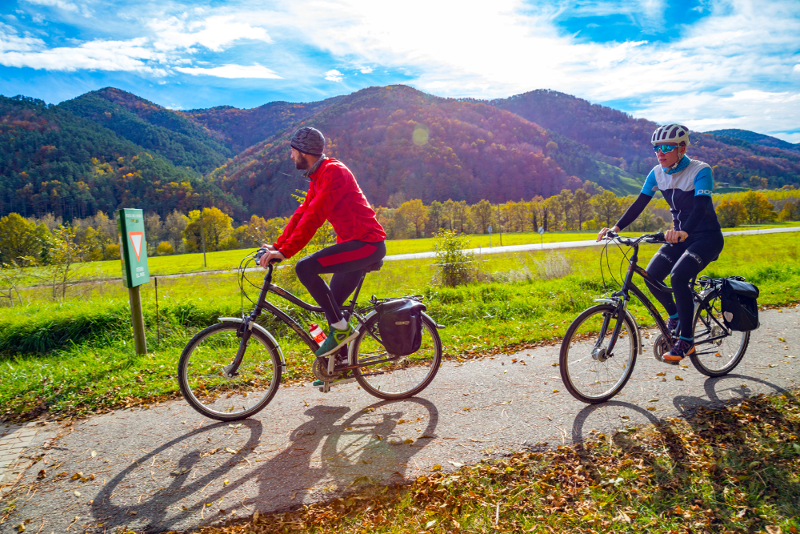 The route that unites the greenways aims to bring together stretches that share similar characteristics in the sense that they are isolated from motorised traffic and have mild inclines. It is important, however, to adapt to the geography of the land and the existing pathways available. You can cycle and plan yourself you route, for stages. Pirinexus is NOT a greenway for complete, some parts are not accessible for everybody. Le Boulou – Palafrugell: Agricultural roads, some of which have asphalt paving, and some small stretches of secondary roads. Stretch with steep inclines. 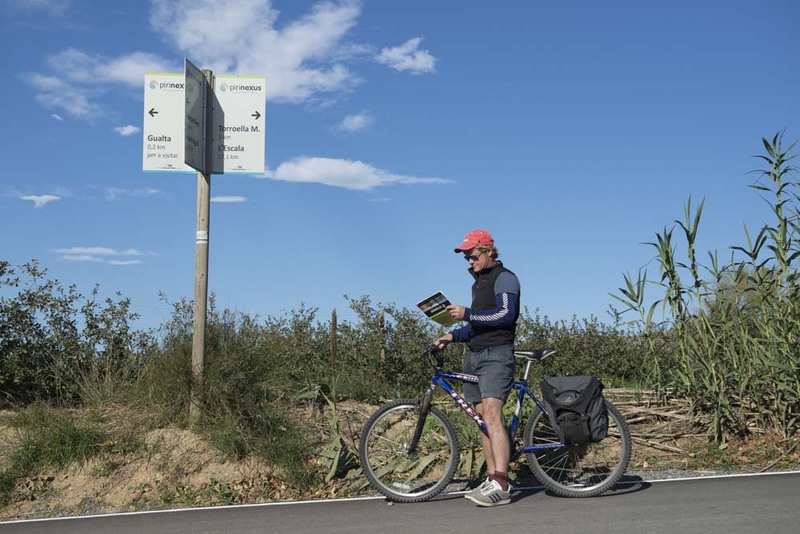 Palafrugell – Olot: Greenways segregated from road traffic, except the Sant Antoni de Calonge – Sant Feliu de Guíxols stretch where we can follow the Camins de Ronda (coastal paths) by foot or cycle on the road. 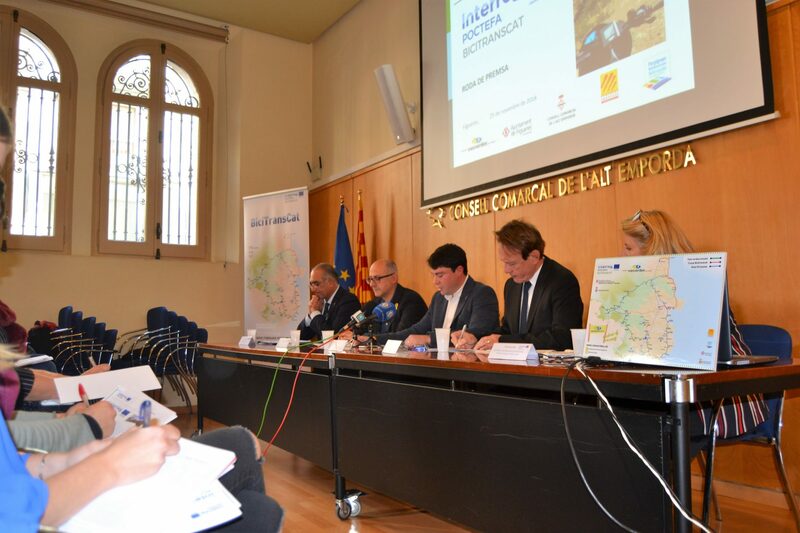 Olot – Arles-sur-Tech: Roads with low level traffic, except the Sant Joan de les Abadesses – Camprodon stretch which follows mainly concrete agricultural roads. Stretch with steep inclines. 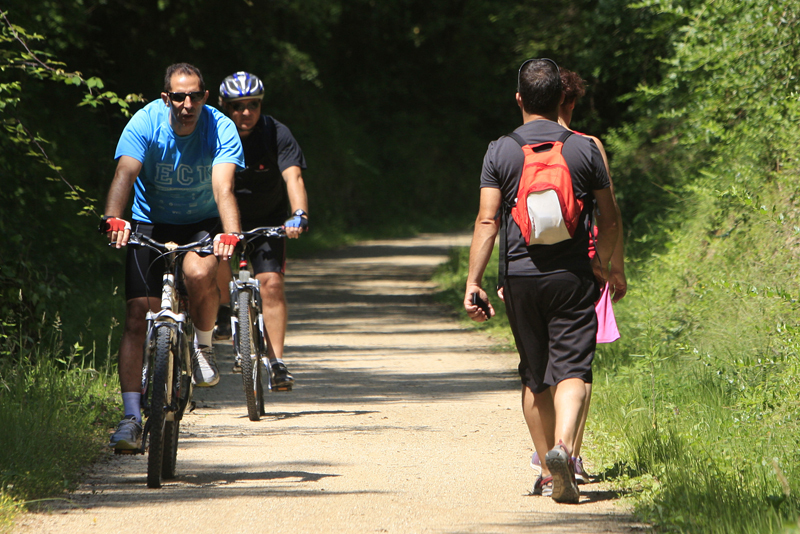 Arles-sur-Tech – Le Boulou : Greenway in France, with some stretches still to be developed and with alternative routes that mainly follow agricultural roads and some main roads. If you download the guide or consulting this web, you’ll see different stages descriptions. This structure merely describes stretches. The idea is that individuals will be able to tailor-make their own stages depending on the time they have, their physical abilities and particular interests. We recommend not exceeding 60 km on average per day and, therefore, dedicating minimum 6 days to complete the route. This pace would enable cyclists to interact with the main attractions along the route in addition to cycling. 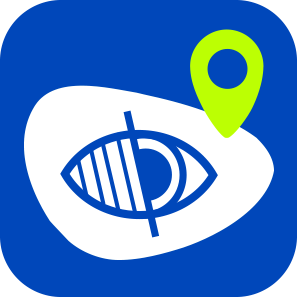 If a more thorough trip is planned, carrying out the activities proposed and covering the lateral routes suggested, at least 10 days would be needed.